When most people think of farming, they conjure up pictures of expansive fields in rural areas, often surrounded by more fields, with a few houses, barns and grain silos scattered amongst them along two lane roads. That is not the case in Orange County, California, where the Kawamura family has been farming since 1958. The Kawamuras have been farming in the Southwest for three generations, with AG and Matthew Kawamura the current operators of Orange County Produce, LLC. When their father decided to consolidate the family’s farming operations, which were previously scattered between Glendale, Arizona, and San Diego, California, and Compton, California, and relocated to Orange County, it was still a rural community of farmers. However, Orange County became increasingly urbanized in the following decades, and most farmers sold their land and left. Not the Kawamuras. In 1994, they changed the company name to Orange County Produce and, while the makeup of the surrounding landscape may have changed, their belief in preserving the county’s agricultural heritage and providing a local supply of food for their community has not wavered. And with approximately 20 million people less than a two-hour drive away they have a large regional marketplace. For the Kawamuras, the ever changing landscape necessitates constant adaptation of their farming techniques in order to succeed in an evolving environment. With rapid urbanization, “we are adopting techniques of ‘land management with a purpose’ on all different types of land; public, private, military, etcetera,” explains AG Kawamura. 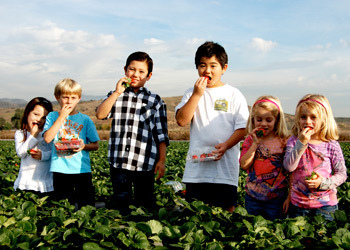 “We utilize the edible landscape;” farming in unconventional places, such as alongside the freeway, and at Orange County’s Great Park, where Orange County Produce currently leases 114 acres for agricultural production, although just three to four acres is big enough for them to cultivate crops. Great Park itself is an innovative and unconventional take on urban planning. Spanning more than 1,300 acres (nearly twice the size of Central Park in New York), and located on the site of the decommissioned Marine Corps Air Force Station El Toro, the Park “embraces environmental sustainability, preserves Orange County’s agricultural heritage, and honors the military history of the former air base, setting a new standard for sustainable park design and urban planning,” according to its website. Orange County Produce is a great example of best management practices in action. In their urban setting, being meticulate and sustainable stewards of their land is as much a compulsion as it is a philosophical choice. With limited space, they need to be efficient, practicing precision agriculture by means of GPS systems for cutting furrows, slow release fertilizers, “spoon feeding” of micronutrients, using carbon to enhance carbon levels in the soil, and the use of beneficial insects such as ladybugs for natural pest control. In addition, they recently began using hot houses, a specific, warmer, form of greenhouses. Water usage is of particular concern. 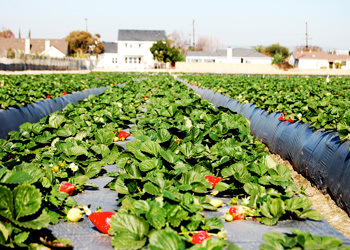 Orange County Produce employs a combination of well water and reclaimed water from the city, which is actually cleaner. They even won an award for their use of tertiary water, which is essentially recycled water, and especially important in a region that lacks natural water sources. They put that water to use via drip irrigation, which applies water precisely and efficiently. By now you are probably wondering; “But what do they actually grow?” The answer is a little bit of everything, most of which is grown conventionally and organically, although they are increasing organic production and decreasing conventional, as more conventional lands are being developed and they are able to acquire land suitable for growing organics. Strawberries and green beans are their primary crops, but they also grow yellow squash, bell peppers and heirloom tomatoes. Between all of their farms, Orange County Produce actually grows about 30 different vegetables, including carrots, kale, collard greens and seven different varieties of beans. Most of their produce is sold to regional chain stores, local restaurants and at farmers markets. One of the more unusual aspects of urban agriculture is the need to “pay sharp attention to mud on roads, dust, and mitigation of noise early in the morning, so as not to bother the neighbors,” says Kawamura. Most farmers grow crops in large fields in rural areas where there are few people, many of whom are likely farmers as well; but working in urban areas, the neighbors may not appreciate tractors rumbling past their window at 4 a.m.
Perhaps most importantly, Orange County Produce is committed to helping the local community. 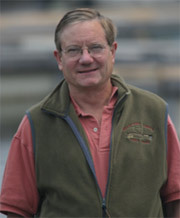 From educating people about nutrition and health, to working with food banks and encouraging people to learn about agriculture, they strive to encourage and assist positive community development. All Photos Courtesy of Orange County Produce, LLC.